The Taylor Music Group (TMG), a leading Charleston arts organization focused on the blending of classical and folk music, announces its annual popular Holiday concert “A Lowcountry Christmas: Celtic and Classical.” The concert will be performed on Saturday, December 15th at 7:30 pm at Circular Congregational Church, 150 Meeting Street in Charleston, SC and again on Sunday, December 16th at 5 pm at St. John’s Lutheran Church, 157 Lady’s Island Drive in Beaufort, SC. Na Fidléirí and the Taylor Festival Choir (TFC) will perform a mixture of traditional holiday carols, instrumental jigs with a Celtic flavor and spiritual choral segments. Led by Mary and Robert Taylor, Na Fidleiri and the TFC will be joined by internationally renowned guest artists Kim Robertson (Celtic harp) and Saundra Deathos (soprano). Tickets for the Charleston concert are $25 general seating and $35 preferred seating and for the Beaufort concert are $20 general seating and $10 students. Tickets can be purchased at www.tmgcharleston.com. In addition to A Lowcountry Christmas concerts, the Taylor Festival Choir will host its annual holiday sing-along at Circular Congregational Church on Monday, December 10 at 7:00pm. The event will feature traditional Christmas carols from the hymn book as well as movements from The Messiah. The sing-along event is free and open to the public. 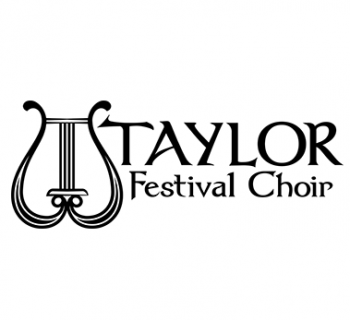 The Taylor Festival Choir is a professional chamber choir based in Charleston, SC. 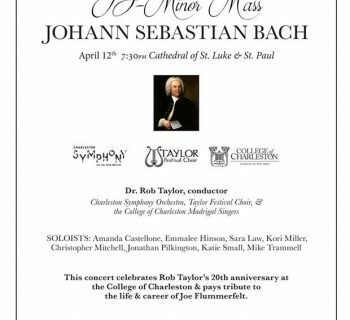 Founded and conducted by Robert Taylor, the choir is inspired by the life and career of Bob Taylor, the conductor’s late father and a noted choral musician and pedagogue. 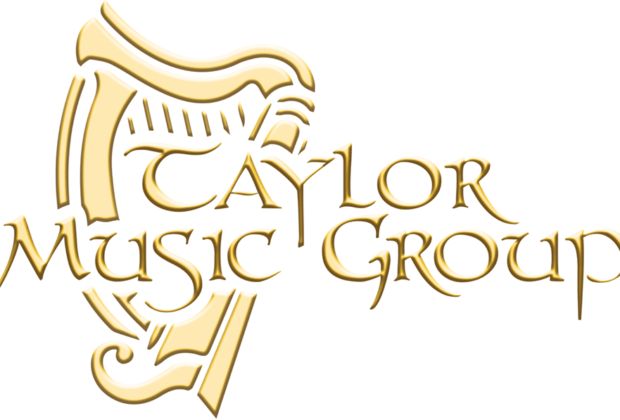 Since its inception in 2001, the Taylor Festival Choir has toured and been heard in prestigious venues and festivals throughout the U.S., and has garnered a reputation of excellence among critics and choral specialists alike. TFC was one of only two American adult chamber choirs featured at the prestigious 2009 American Choral Directors Association (ACDA) National Convention and 50th anniversary celebration, and they were again featured in the ACDA Southern Division Conference in February 2017, where they were selected to perform the prestigious Raymond W. Brock commissioned composition. 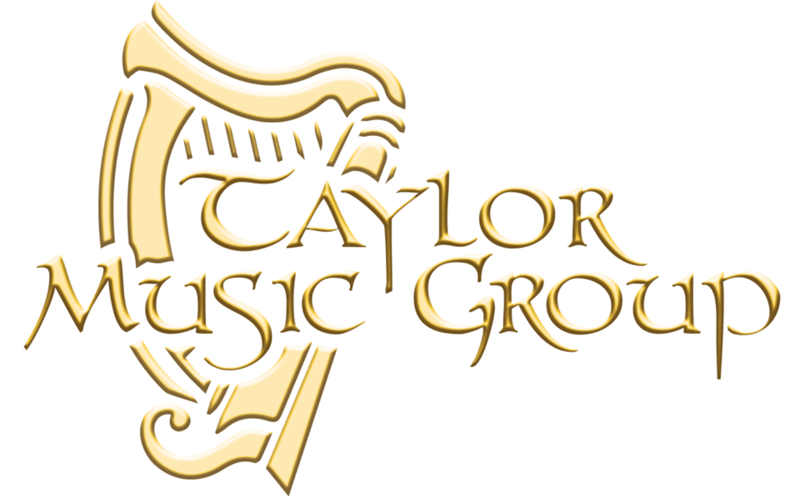 The Taylor Festival Choir has recorded on the Delos, Centaur, and MSR Classics labels. Their recent recording of BBC composer of the year James MacMillan’s Mass and Celtic Mass by Michael McGlynn received rave reviews throughout Europe. Their recording Sing We Now of Christmas, recorded with legendary guest artists including Liz Carroll, John Doyle and Kim Robertson, has been called “a choral feast that will linger long in your memory after you’ve heard it” (Audio Society of Atlanta). TFC serves as the professional choir-in-residence at the College of Charleston. It presents a full concert season in the Charleston area, and serves as the flagship ensemble for the Piccolo Spoleto Celtic Arts Series. Personnel in the ensemble include conductors, educators, performers and professionals from throughout the United States. 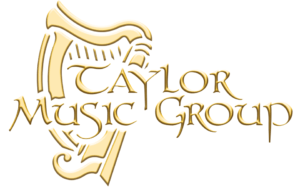 The Taylor Festival Choir performs the finest choral literature from all eras, with particular emphasis on new music and folk music from the Celtic nations. Dedicated to bringing the beauty and spiritual enrichment of choral music to as wide an audience as possible, the Taylor Festival Choir tours frequently, and performs outreach concerts in schools and churches throughout South Carolina and surrounding states. TFC toured Ireland with sister ensemble Na Fidleiri in 2013. A double DVD documentary chronicling that tour was recently released. Na Fidléirí (“the fiddlers”) was founded and is directed by Mary Taylor. It has been frequently called the nation’s finest, most unique Celtic fiddling ensemble for young fiddlers. Na Fidléirí is made up of 20 to 25 auditioned fiddlers between the ages of 10 and 18, plus pennywhistle, bodhran and guitar. Na Fidléirí performs repertoire from the Celtic tradition, specially arranged for them by Mary Taylor. Members are taught the technique and style of Celtic fiddling, while simultaneously being grounded in a classical technical foundation. Lyric soprano Saundra Deathos has been heralded for the remarkable quality of both her vocal and dramatic presentations. Excelling in a varied and broad repertoire, she began her career as an Adler Fellow and in the Merola Opera Program with San Francisco Opera. Most recently, Saundra has received rave reviews at Utah Festival Opera for her portrayals of Giorgetta in Il Tabarro and the title role in Suor Angelica. She recently assumed the position as Head of Opera at the College of Charleston. 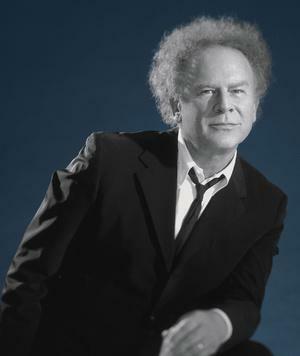 Kim Robertson is a renowned performer, arranger, and recording artist who has stretched the boundaries of the harp for a generation of performers and audiences. As a pioneer in the American folk harp movement, she combines an improvisational spirit with a passionate sense of tradition, bringing a contemporary touch to a centuries-old instrument.